Click to read: Lonely Planet’s #1 Top 10 US Travel Destination? Art Prize, craft beer, and our magnificent beaches helped earn Grand Rapids and Lake Michigan’s Gold Coast the #1 spot on Lonely Planets Top 10 US travel destinations for 2014, beating out other beautiful places like #2 Yosemite National Park (CA), #3 Boston (MA), and #4 the California Central Coast. So what does Grand Rapids have that everyone loves? Art, for starters. 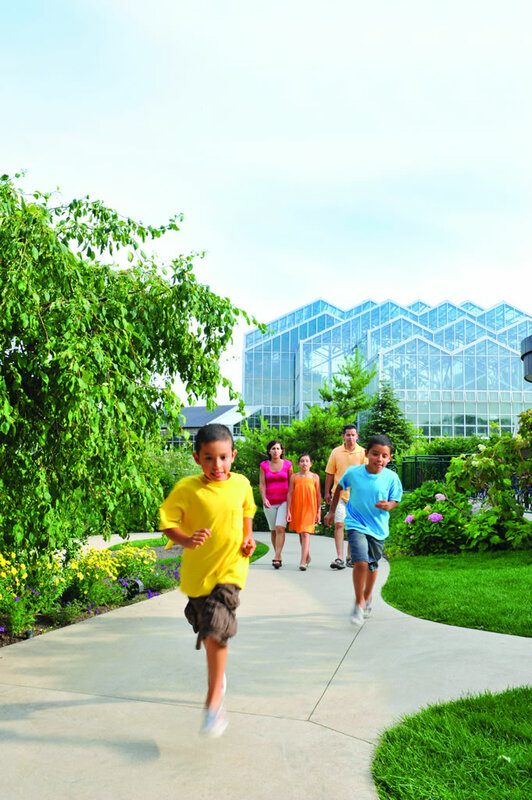 Grand Rapids has been home to the Frederik Meijer Gardens and Sculpture Park for almost 20 years. The park houses rotating exhibits, as well as its own collection, and continues to expand. And while we’ve had an art museum since 1910 (then called the Art Association of Grand Rapids), Grand Rapids kicked its commitment to art up a notch in 2007 with the opening of the new $75 million Grand Rapids Art Museum, the first art museum in the world whose entire facility is built to LEED standards. And the big game changer: ArtPrize. Named one of the Five Festivals You Wont Want to Miss in 2013 by Time magazine, this open art competition with prize money totaling $350,000, attracts artists and visitors from across the globe. This year, more than 1,800 artists submitted entries, which were showcased in 169 venues throughout the city. For 19 days, residents and visitors filled the city with energy and enthusiasm as they discovered–and voted for–their favorite pieces of art in banks, restaurants, parks, and even in the Grand River. And then there’s the craft beer scene. Breweries in Grand Rapids are racking up awardsfaster than we can count. New breweries, focused on sustainability and crafting that just-right-draft open regularly, and what was formerly our little neighborhood spot, Founders Brewing Co., has grown up, expanded, and taken its place in the international spotlight. 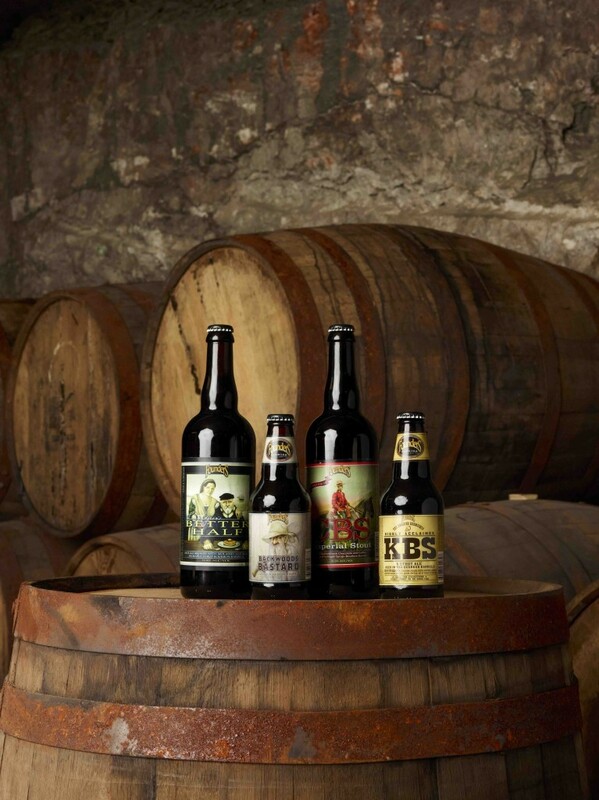 A few of Founder’s brews. When you combine the city’s art and beer scenes with 300 miles of West Michigan coastline, anyone can see why Grand Rapids secured the top spot on Lonely Planet’s list. 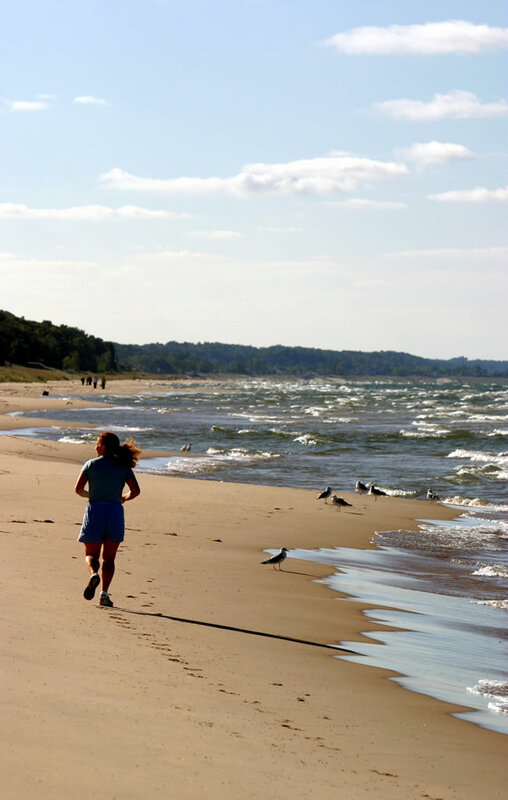 Fifteen years ago, when I was visiting Grand Rapids as a potential resident, a friend took me to the beach. “You’ve got to see this,” he said. Having grown up on the beaches in North Carolina, I was skeptical. “You’re not going to impress me with a little sand and a lake,” I thought. I couldn’t have been more wrong. A run on the beach. First, there are the sand dunes – not little bumps you walk past to get to the water, but big, tall dunes, so high you run out of breath climbing them. Then there’s the sand. It’s beautiful white sand, not rocky, as you might expect in the Midwest, and perfect for building castles or digging in your toes. And finally, there’s the lake, the big, expansive stretch of water you can’t possibly imagine ends in Wisconsin on the other side, or Chicago at the south end, because all you can see, all around, is its deep blue beauty. It’s so beautiful, in fact, that ABCs Good Morning America named part of it, Sleeping Bear Dunes National Lakeshore, the Most Beautiful Place in America.